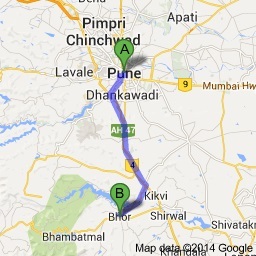 Bhor is among the many popular tourist places near Pune where planning a program for a holiday can be ideal. Bhor was one of the princely states of British India, under the Poona political agency of the Bombay Presidency, and later the Deccan States Agency. Bhor Rajwada is a connecting link part of the Golden Quadrangle and is located in between Satara and Pune. Situated among the higher peaks of the Western Ghats, Bhor is a popular tourist destination near Pune along with being a popular place for shooting of many Hindi films such as Chalte Chalte, Mangal Pandey, Jolly LLB, as well as tons of Marathi serials. Bhor is one of the Indian cities which has a Martian crater named after it. Bhor is also famous for adventure sporting activities at Adventure Plus. Adventure Plus Bhor is a preferred place for company outings for adventure sports as well as it is one of the popular tourist places near Pune. It is much cheaper than many other adventure sporting centres and also a perfect getaway for sports buffs and thrill seekers. Among the must see getaways near Pune. Places to visit in Bhor are the Kalubai Mandir Jogwadi, the Bhoreshwar Temple, Bhatnagar Dam, and the Ketkawale Balaji temple. The temples attract many tourists throughout the year and are also very popular among the locals. The Kalbubai Mandir is said to be especially powerful and people go there to seek blessings, making it amid interesting tourist places near Pune. 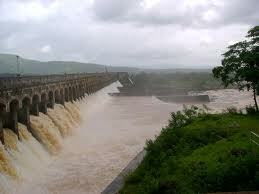 One of the main tourist attractions in Bhor has be in the category of the chief Bhor Dam called the Bhatnagar Dam. It was built in 1927 for generation of electricity and today is a renowned among tourist places near Pune. 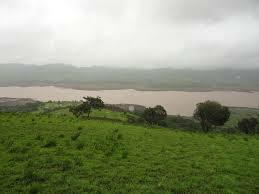 It is ideal for picnics, one day outing near Pune and one could come here with family and loved ones. There are many good places to stay in Bhor and one can get all the information from the locals or through a good agent. The lush greenery, dense forests, a variety of fauna, good picturesque views and fantastic views makes Bhor a worthwhile place to visit. It is a perfect one day picnic spots near Pune. Kalubai Mandir Jogwadi is a temple in Bhor that is very famous amongst both tourists and locals and is a must visit place if one is in Bhor. Bhatnagar Dam is a beautiful dam surrounded by great views and is ideal as a tourist spot. Adventure Plus is an adventure sporting resort near Bhor with one of the best adventure sports facilities. It attracts both novices and people who have been doing such activities for a long time.